“I was born in Lisbon, but spent most of my childhood on a farm in the north of Portugal. After studying management at university I worked in several areas, but it was in education and teaching where I made my career. Teresa is the mentor of this project, reflecting her passion for walk and hiking activities. In her curriculum are some of the summits of the Pyrenees, Sierra de Gredos, and the Alps, in addition to the major mountains and national parks of Portugal, including the Azores Peak, Portugal’s highest mountain. 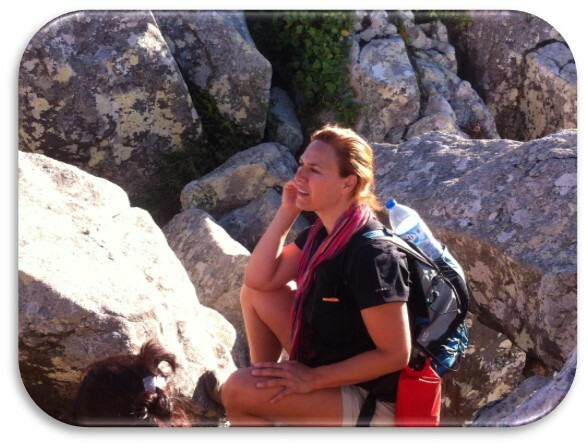 She is a partner and professional guide at Walk and Hike Portugal. Her knowledge of the history, secrets and mysteries of Sintra, turn every walk into a trip into the past. 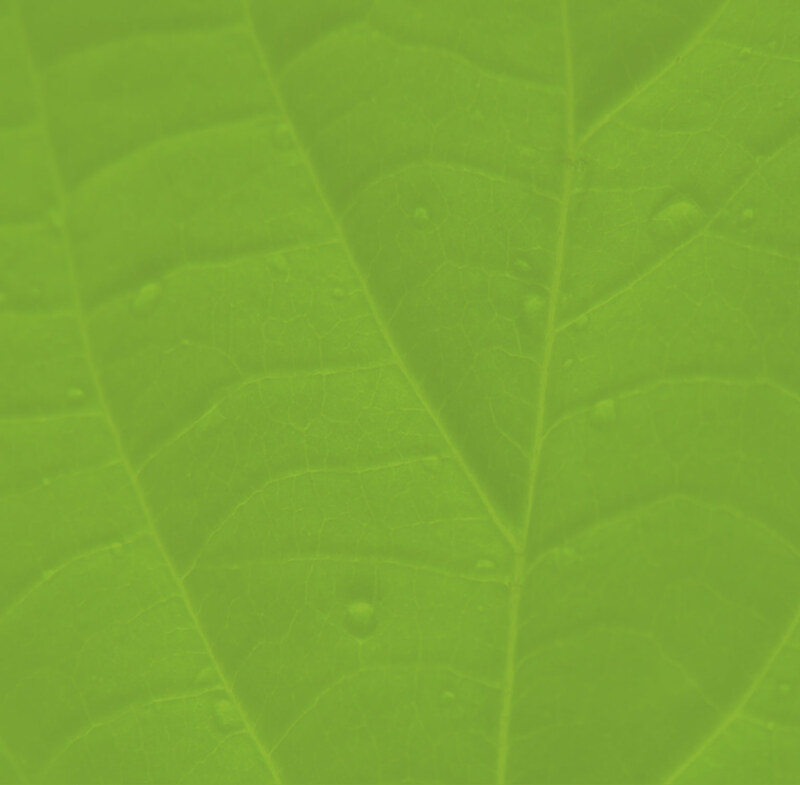 “Advertising and marketing are the foundation of all my professional training. I started climbing mountains at 19, more precisely in the Estrela Sierra, and I haven’t stopped since. Throughout this time I´ve collected peaks in three continents, including Mont Blanc and Cursed in the Alps, the Posets, Lost and Aneto in the Pyrenees, Sierra de Gredos in Spain, the Elbrus in Caucasus, and Kilimanjaro, M‘goun and Toubkal in Africa. In Portugal I walked all the major parks and climbed all the major mountains, including the Pico in the Azores. Because the outdoors are part of my DNA, I decided to embrace this project and what began as a prank has become a serious pursuit. Thanks to Walk Hike Portugal I´ve met the real Sintra Sierra, its people, it´s secular histories and deep mysteries, and I’ve fallen in love with this little sierra, undoubtedly one of the most beautiful I know. Besides being a partner at Walk Hike Portugal, Francisco is our marketing man. He is also one of our most experienced guides and his availability is a plus for the walks in which he participates. “I’m a Cascais native, where I was born and have always lived. 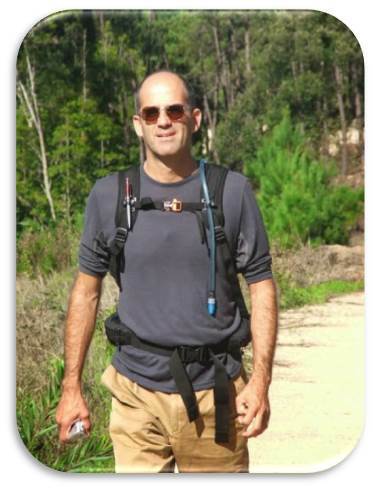 Although my vocational training is technical design, I´m a partner and professional guide in Walk Hike Portugal. 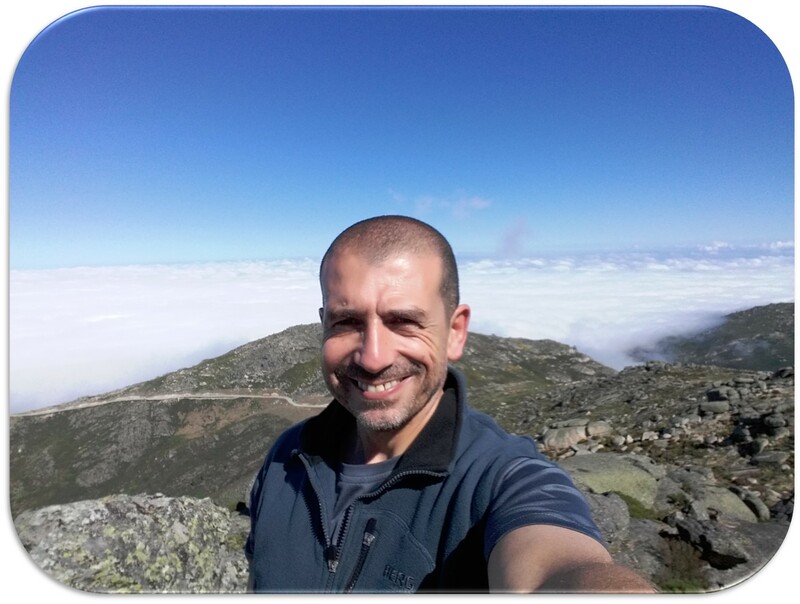 I´ve walked the main mountain and national parks of Portugal, including the Serra da Estrela, Alvão, Malcata and Peneda Geres. I’be built a high level of technical know-how on the harshest rails, using the methods essential to field guidance. Internationally I´ve made several ascents in the mountain ranges of Europe and Africa, including the Sierra de Gredos in Spain, the Pyrenees and the High Atlas in Morocco. 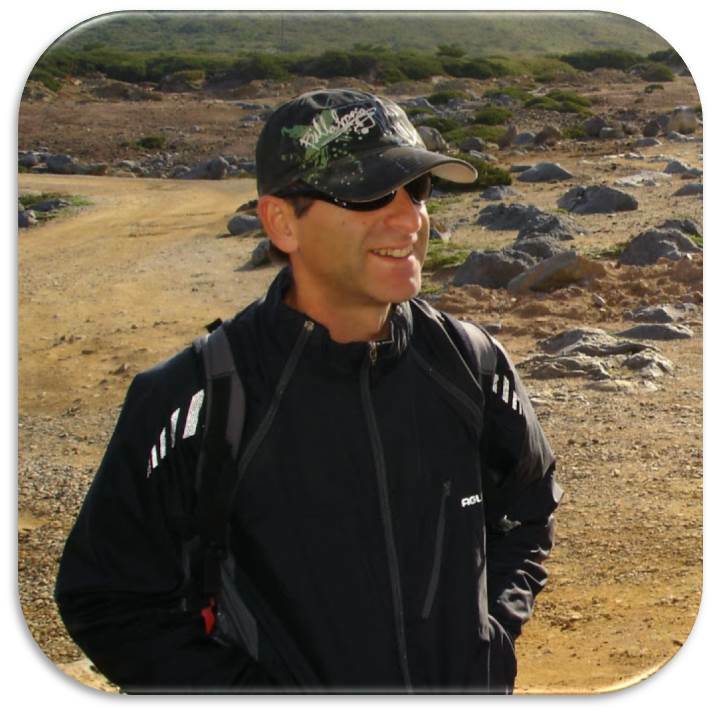 Besides being a partner, Paulo is a professional guide at Walk Hike Portugal. He knows the Sintra-Cascais Natural Park like few others, which has allowed us to open up new paths and create unique walks. António is a partner at Walk Hike Portugal. He´s also one of our team guides. His permanent good humour is an asset on every walk in which he participates. “Having lived in Africa for 6 years made me aware of how important Mountains are in my life. I’ve started my experience in Mountaineering in 1977 by climbing some iconic boulders in the Sintra region. I’ve learnt the skills of climbing mainly in Serra da Estrela in Portugal both in Summer and Winter. Since then I’ve travelled around the world having climbed summits in the Alps, Andes, Africa and in many other places where I could enjoy the greatness of the Outdoors. Passing my experience to others has become a way of life and so teaching Mountaineering and Climbing as an instructor is an activity that I’ve been doing for the past 30 years. I’ve shared this passion with the professional activity of Telecommunications Engineer and more recently as Executive Coach. Carlos is our mountain expert. 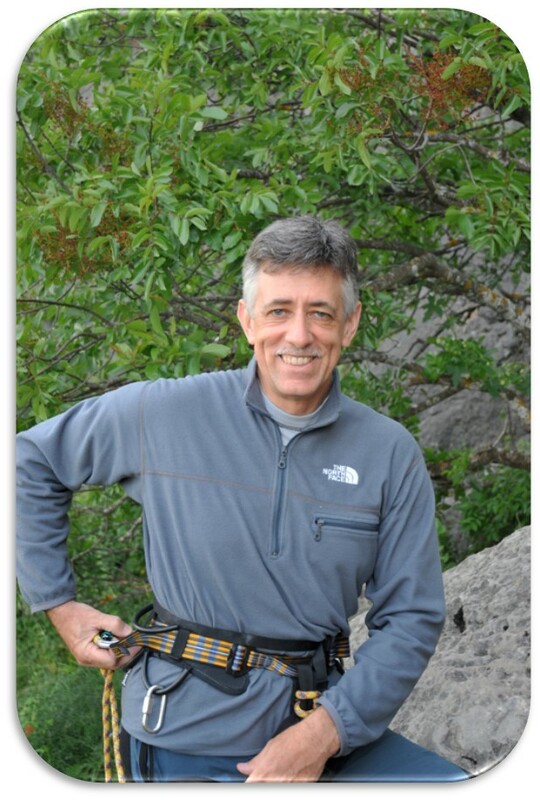 Apart from belonging to the Portuguese Federation of Mountaineering board, Carlos is also an international judge in the Ice Climbing Commission for the UIAA (International Climbing and Mountaineering Federation). His knowledge and passion for the mountains are a qualitative addition to our hiking and trekking experiences. “I’ve always been fascinated by outdoors, especially mountains. After climbing Portugal’s highest summit (Pico, at 2,351 m), I took every oportunity to explore other mountains and in a few years I had climbed Mt . Kilimanjaro and the highest peaks in Spain, Morocco, Ecuador, Malaysia and so on. Eventually I become more interested in mountain trekking and had the priviledge of completing several scenic treks in North and South America, Iceland and the Himalayas. My latest adventure was to hike the entire Portuguese coastline and border – 2,300 km completed in 7 years, at a pace of one week-end per month. José is our new addition to the WHP team. 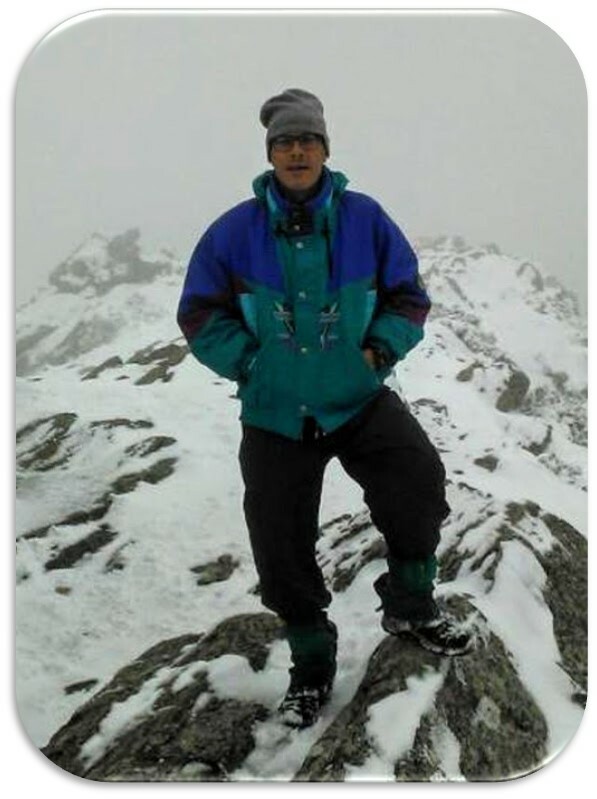 His vast experience in hiking and trekking around the world gave him a global vision to the mountaineering activity, which makes him a priceless asset in all activities in which he participates. “I was born in Coimbra. After completing high school in Lisbon, and doing military service in the 1st Independent Mixed Brigade NATO I studied and worked in England between 1988 and 1993. 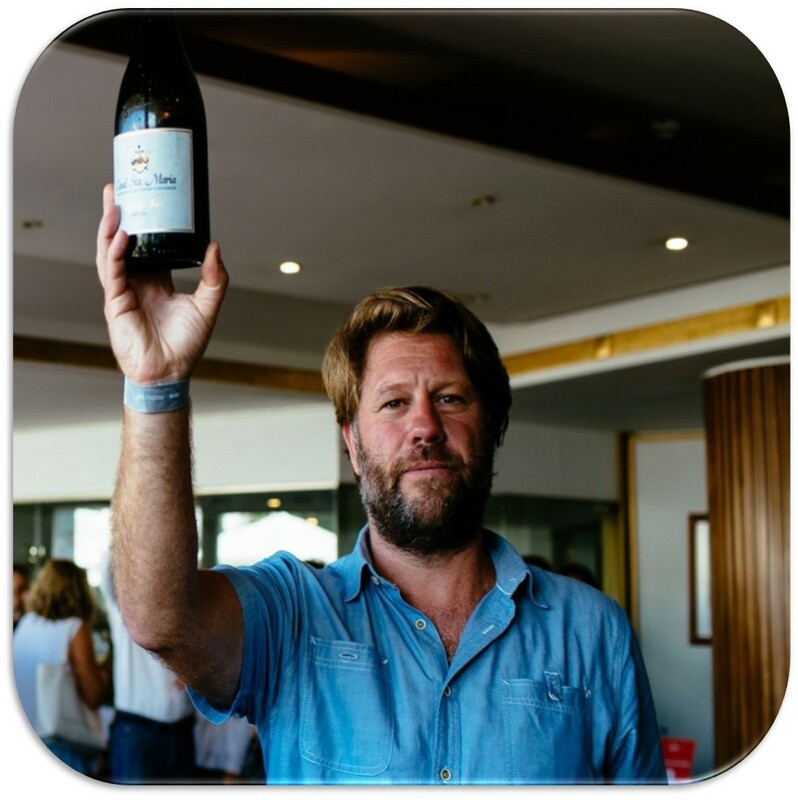 Luís is our wine consultant and it´s his vast experience in the wine world that has allowed us to create the wine routes of “Colares”, presenting in this way a distinguishing product of high quality.